The day also marked the 2,569th anniversary of Confucius' birthday. Enterprise representatives and experts gathered at the capital city of Shandong province to express their hopes for the province's development. Ting, also a professor from the Massachusetts Institute of Technology in the United States, has great expectations for technology development in Shandong. "I'm in my eighties and I have cooperated with Shandong University for years. This is my 11th time to come to the province and I find that it has made a great improvement," said Professor Ting, whose father once taught in Shandong University. 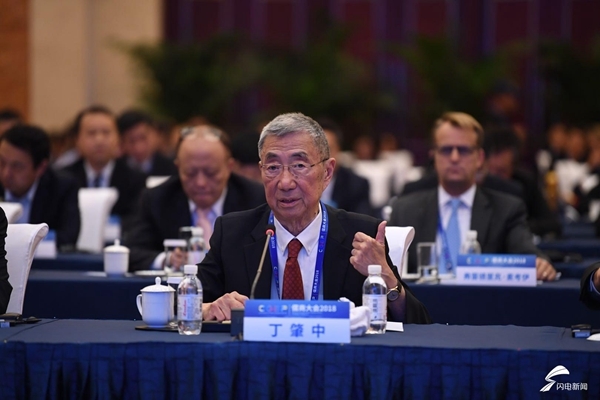 He compared Shandong to Germany and said that he hoped the conference could help the province become as advanced as developed countries in terms of technology, industry and people's livelihoods. Professor Ting also shared his opinions on how to develop the institute. "The institute should mainly make studies on the future development of technology and the laws of nature. It can also cooperate with the Massachusetts Institute of Technology and become a world class research center in five or six years." To conclude his speech, Professor Ting expressed his hope that the province will make more contributions to humanity.